Last Christmas (yes, that's how far behind I am), I set up a little Christmas Snowflake Doiley Decoration Creation Station for my kids (try and say that quickly 5 times). The previous year, our favourite Christmas activity was this Christmas Decoration Creation Station where the kids were enticed to decorate baubles for the tree with a range of fun arty materials. They especially loved the open-ended nature of it and how the end results were not predetermined, it was completely up to them. That was the same premise for this activity. 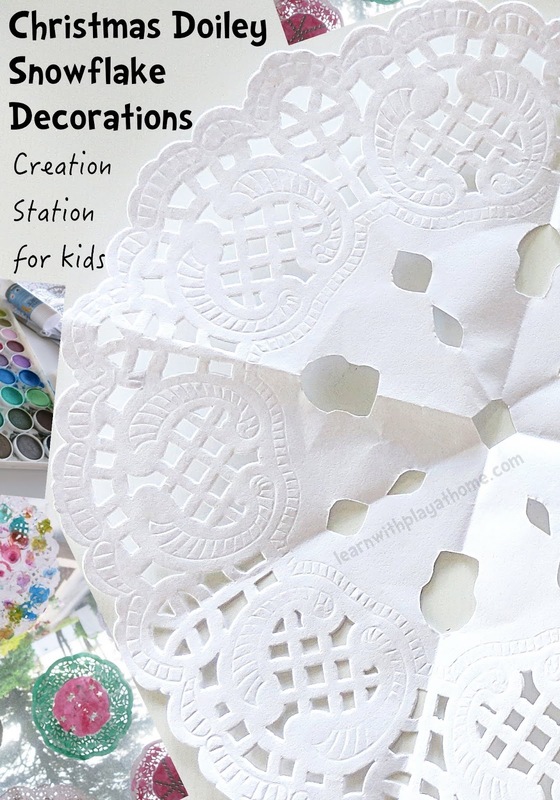 I demonstrated how you could fold and cut the doilys to make snowflakes if they wanted, but other than that, the end results were completely up to them. Each Christmas we enjoy making a little Christmas themed gift for the children in my kids' classes. Our favourite idea was our playdough Christmas tree bags. They make a great sugar-free alternative to balance out all the treats that usually get given out around Christmas time. 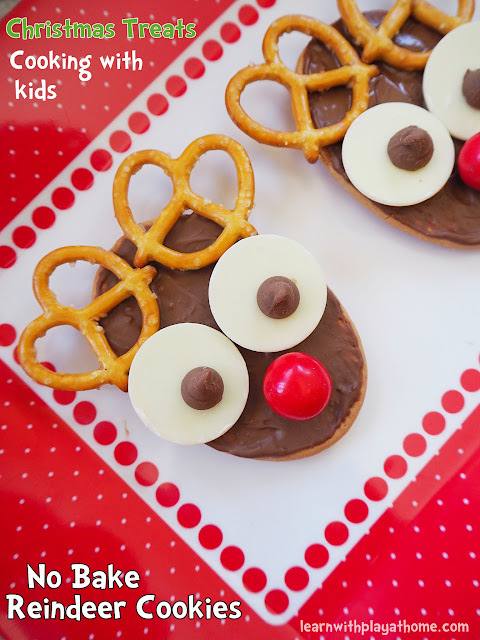 This year however, we needed a different idea so thought that we'd have a go at making some reasonably quick and easy little Rudolf the Red Nosed Reindeer cookies. Using bought biscuits definitely cuts out a lot of time and the trickiest bit is melting the chocolate, which makes it a good activity to get the kids involved with too. If they're the ones giving the gifts, they might as well help make them! Pompoms/pom-poms/pompons/pom-pons (whatever you call them!) are a relatively inexpensive, yet very fun and versatile little manipulative. Usually found in the craft section of most shops in a range of different colours and sizes, pompoms can be used in all manner of different ways and for different play and learning activities. 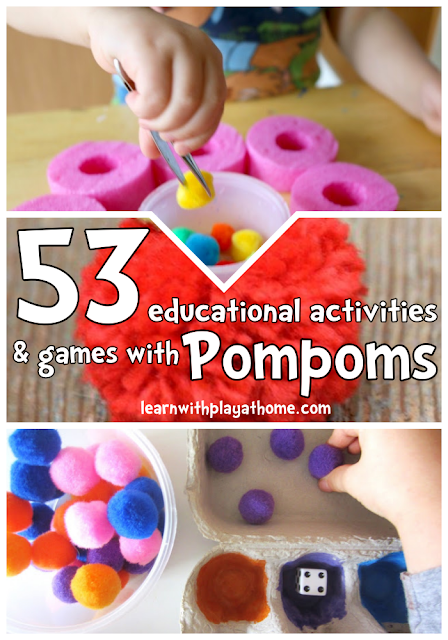 Here are 53 fabulous ways that you can use pompoms to help further math, literacy, fine motor, gross motor, sensory, play, imagination, craft and/or scientific skills.